Many people suffer from intense pain in the upper spine. There are any number of potential treatments for this issue, such as medications, Chiropractic treatment, and even surgery. Obviously, each one of these comes with its own level of risk. surgery is an extreme measure to take, but occasionally an essential one for relieving pain. Before surgery is attempted, most other potential options for relief should be looked into. One commonly used form of pain relief with excellent results is that of cervical epidural steroid injections. Cervical epidural steroid injections allow for relieved pain in the upper part of the spine and neck. 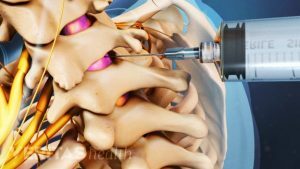 Cervical epidural steroid injections are able to relieve pain in the cervical region of the spine and neck through inflammation reduction. 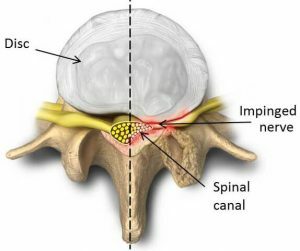 By reducing the amount of swelling and inflammation in the cervical region, associated pain due to compressed nerves is reduced. In order to inject the steroids into the neck, doctors use a small needle applied directly into the inflamed area. this makes cervical epidural steroid injections a minimally invasive treatment with few side effects. Localized anesthetics will be provided, so there will not be a pain when the needle is inserted. Once the needle is been inserted, doctors can use x-ray and dye injections to ensure correct needle placement. Since patients are typically awake for the procedure, they are also able to assist the physician in locating the inflamed area. As this procedure utilizes anesthetics and occasionally mild sedatives, one should not operate Machinery directly after. Occasionally, only a single treatment will provide lasting relief cervical neck pain. If not, multiple treatments can be used to achieve the same results. 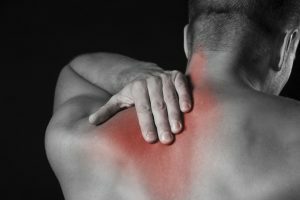 What Causes Cervical Neck Pain? Once neck pain has been relieved, it is important to take action to limit additional pain to the cervical region. How can this be done? The first and most important step is identification of sources of pain. One common source of neck pain is associated with poor posture. Poor posture is particularly troublesome in that it creates a feedback loop. The poor posture and positioning creates pain in the neck. This pain can increase when proper posture is attempted, so continued improper posture is demonstrated. Overtime, slouching and bending of the cervical spine gets worse and worse, until there is noticeable pain and potentially deformity. Clearly, quick remediation of poor posture is essential. Another source of neck pain is inflammation of the tissue surrounding the spine. This can either be brought on by an autoimmune disorder, a genetic disorder, or an infection. these cannot simply be treated through strengthening exercises and posture. Instead, proactive medical measures must be taken. This includes cervical epidural steroid injections. These injections Target the inflammation of the neck To provide immediate pain relief. This does not solve the overall problem, however it does provide necessary relief so that further treatment can be pursued. Now that we know what causes neck pain, the solutions for neck pain relief are much easier to find. One common problem facing the American workforce today is the increased amount of desk and computer work. While this is unavoidable, utilizing good ergonomic and body mechanic principles. One important technique to remember is keeping the computer monitor, or whatever the focus of your attention is, directly in line with the eyes. Slouching and bending of the neck increases the amount of strain on one’s neck and therefore the risk of cervical pain. Regardless of the source of pain, simple exercises can be provided by a physician to limit pain and improve function. Are you ready to get rid of your cervical pain? Call Dr. Grimm to schedule an appointment to discuss cervical epidural steroid injections.